What's in a name? Why do people take matters to court because of the use of surnames? Whether it has to do with illegitimate children using their father's surname or a married woman adding her husband's surname, the process can become complicated without understanding the rule of law on using surnames. Republic Act 386 or An Act To Ordain And Institute The Civil Code Of The Philippines provides the following guidance on the use of surnames. Art. 364. Legitimate and legitimated children shall principally use the surname of the father. Art. 365. An adopted child shall bear the surname of the adopter. Art. 366. A natural child acknowledged by both parents shall principally use the surname of the father. If recognized by only one of the parents, a natural child shall employ the surname of the recognizing parent. Art. 367. Natural children by legal fiction shall principally employ the surname of the father. Art. 368. Illegitimate children referred to in Article 287 shall bear the surname of the mother. Art. 369. Children conceived before the decree an'ing a voidable marriage shall principally use the surname of the father. (2) Add the Roman Numerals II, III, and so on. Art. 376. No person can change his name or surname without judicial authority. Art. 377. 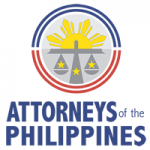 Usurpation of a name and surname may be the subject of an action for damages and other relief. Art. 378. The unauthorized or unlawful use of another person's surname gives a right of action to the latter. Art. 379. The employment of pen names or stage names is permitted, provided it is done in good faith and there is no injury to third persons. Pen names and stage names cannot be usurped. Art. 380. Except as provided in the preceding article, no person shall use different names and surnames.